This restaurant looked like the classiest place in Bunbury with modern decor and a wide selection of wine. The menu is European but also contained some Japanese dishes and Sake. 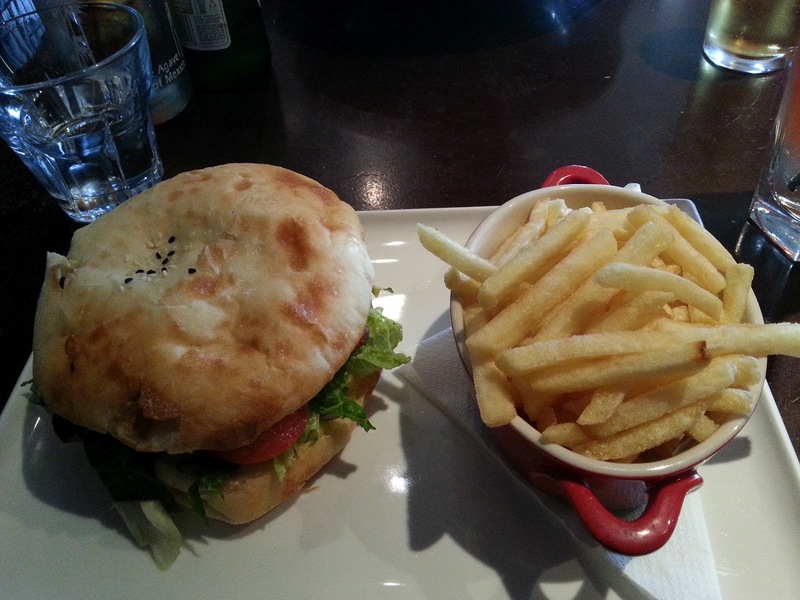 We came here for lunch and ordered the Mojo's Steak Burger which came with French fries. It was tasty and the bearnaise sauce and onion jam complimented the burger well. The bun was lightly toasted and crisp. My partner had the Pasta of the Day which he claimed was the best pasta he had tried. 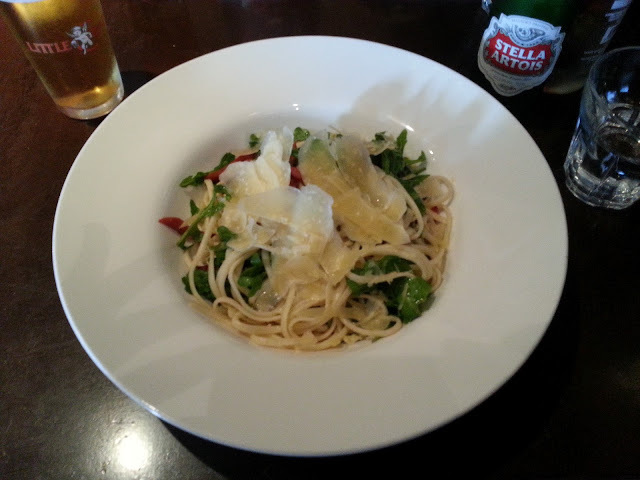 I think it contained linguine with chorizo sausage, rocket salad and parmesan cheese shavings topped with olive oil. The service was good and the waiter was friendly and able to explain all the dishes. I would definitely come here again.